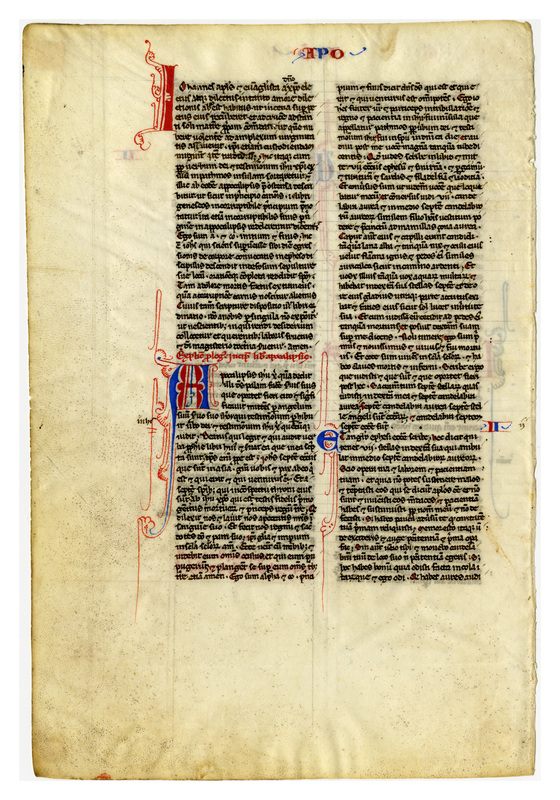 Italy; Middle 13th Century. Latin Text; Rotunda Gothic Script. This leaf's vellum is thin and supple, with minimal yellowing. It is lead-lined and includes blue, red, and black ink. Though not illuminated, this leaf includes decorative initials with flourishes, as well as red and blue book numbers and chapter names. Phrases are highlighted in red, which also marks the first letter of each sentence. 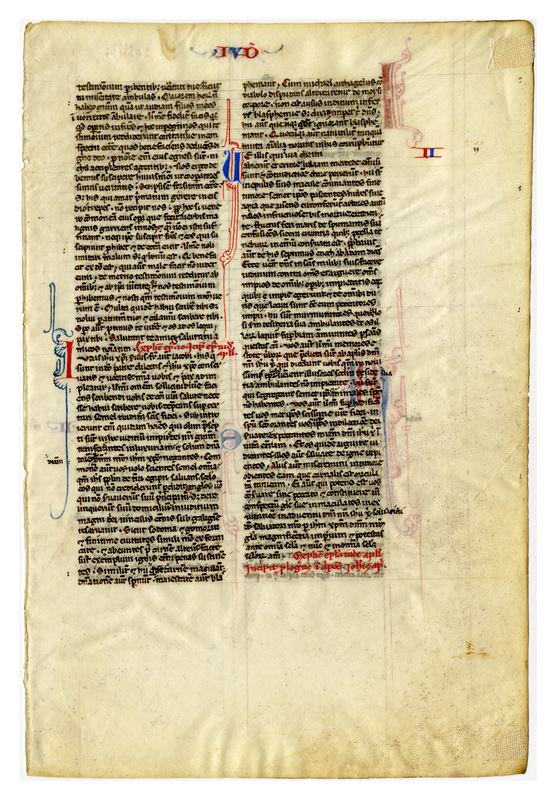 “E0011 Leaf from a Bible (Biblia Sacra Latina, Versio Vulgata),” Digital Exhibits | Denison University Archives & Special Collections, accessed April 23, 2019, http://exhibits.denisonarchives.org/items/show/35.